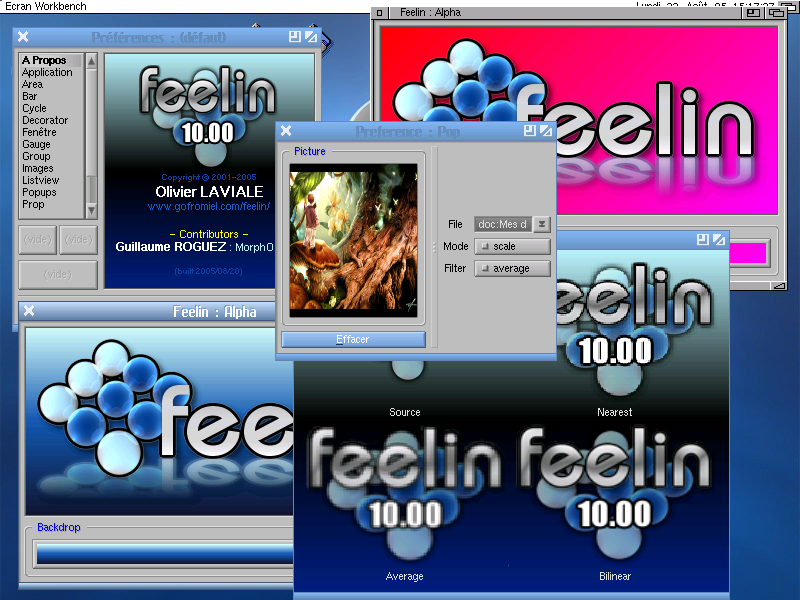 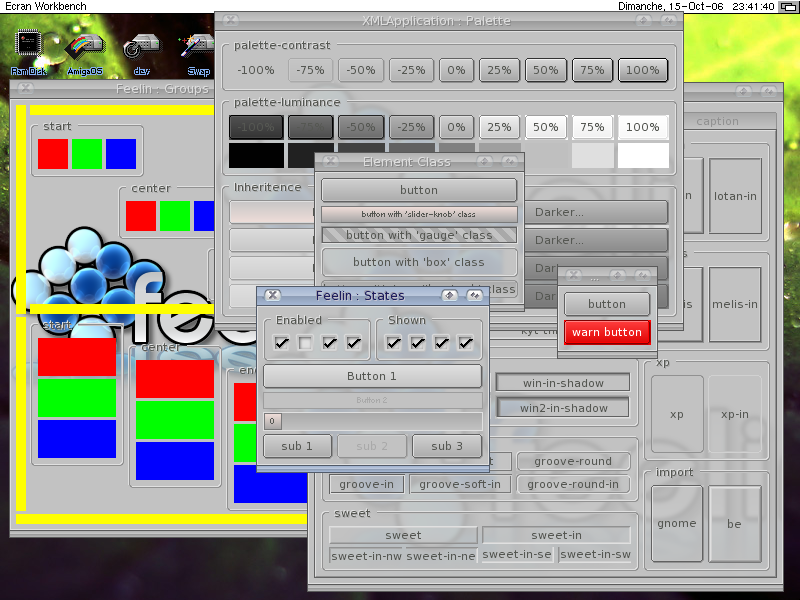 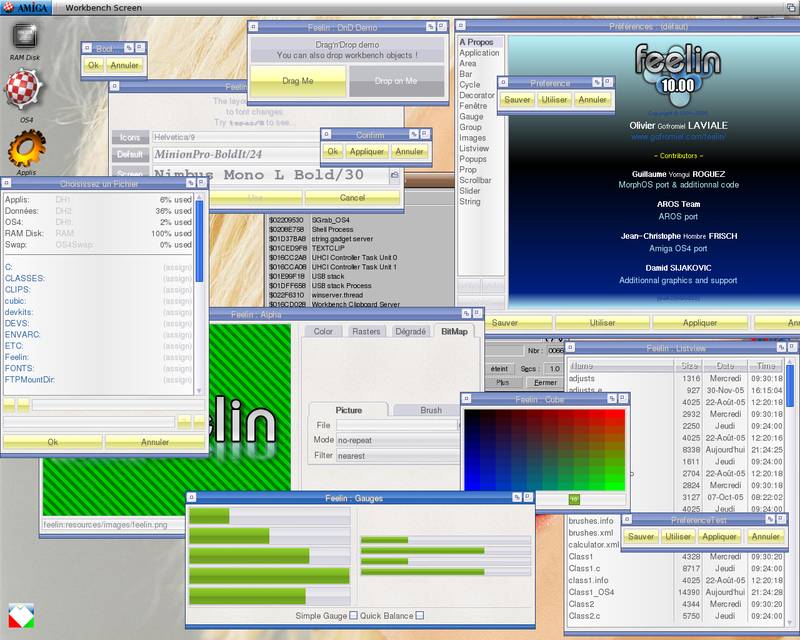 The following screenshots show the evolution of Feelin's GUI, starting from the newer versions. 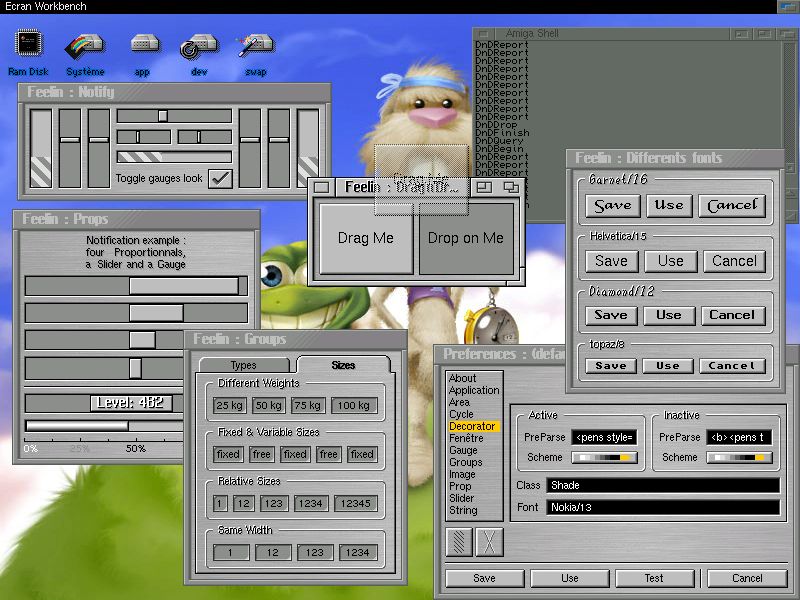 Because there is no builtin default look, the GUI aspect is totaly driven by the preference editor, and is extremely customizable. 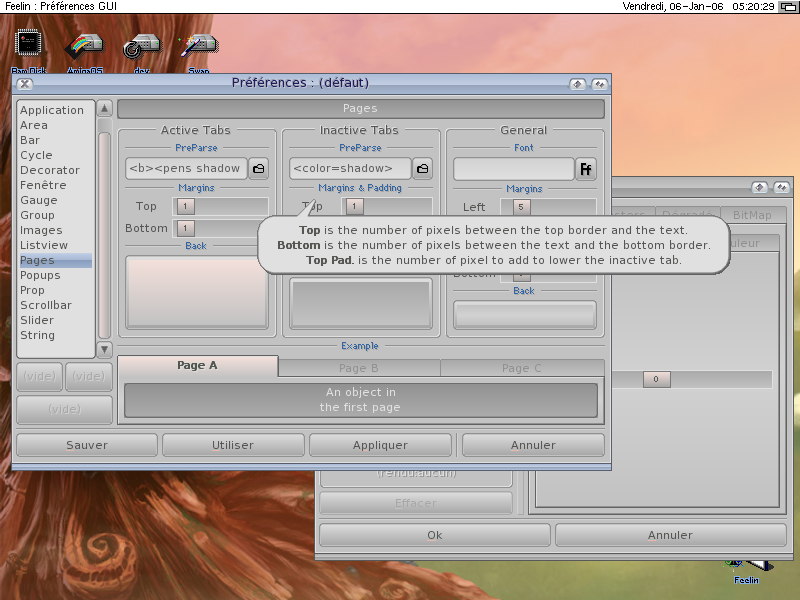 You may notice that the window's borders on the various screenshots are not standard Intuition ones. 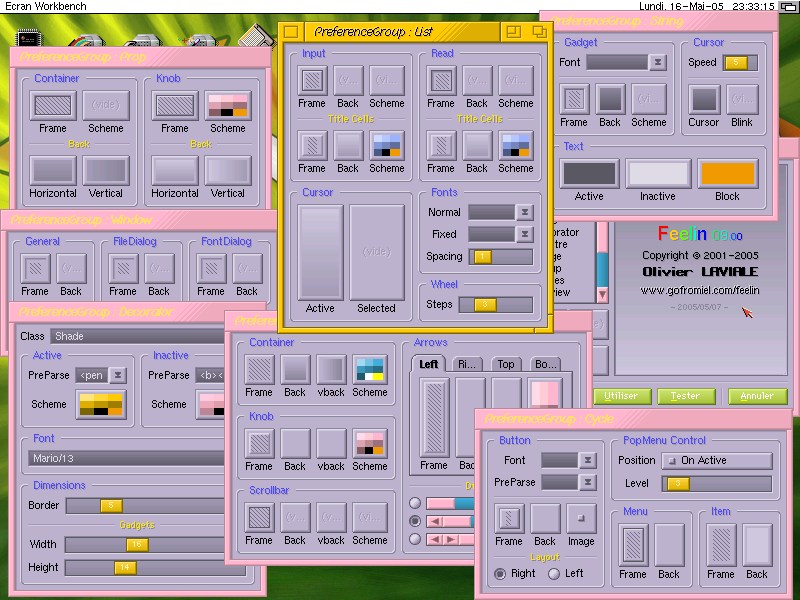 This is not a patch, but Feelin's window decorators feature. 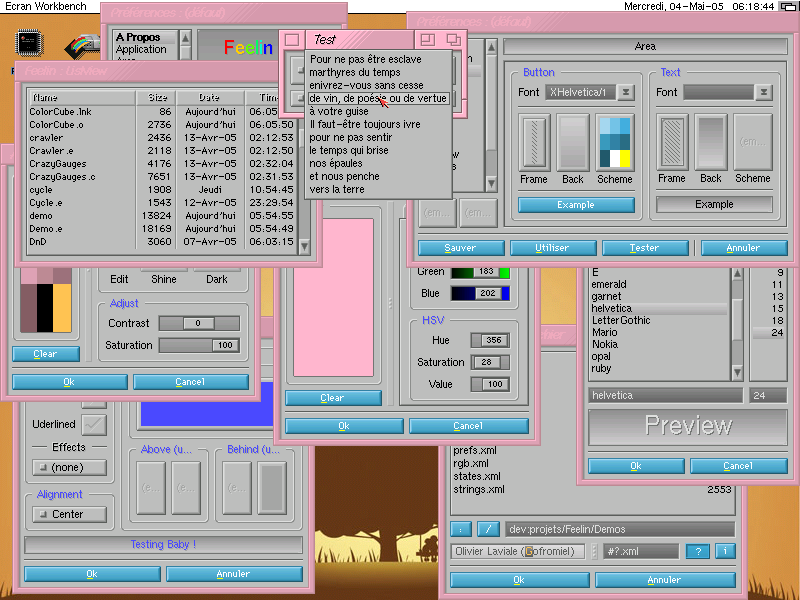 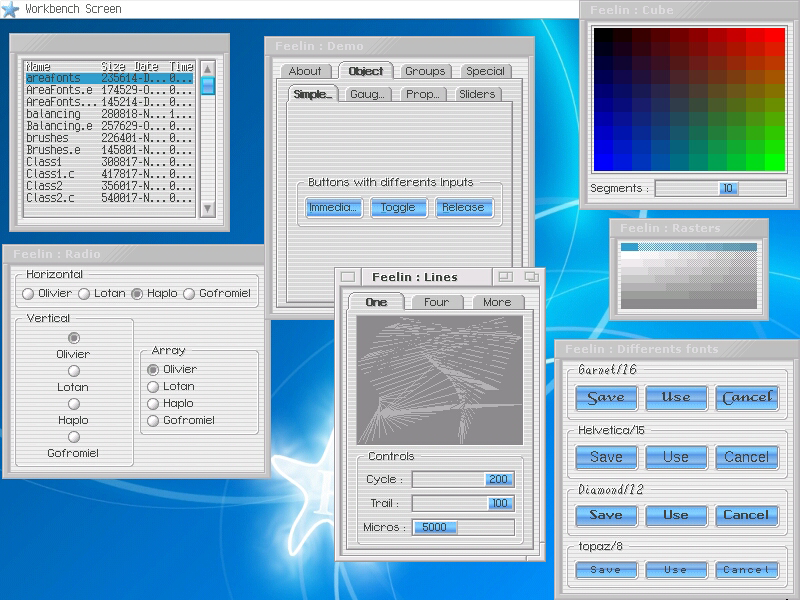 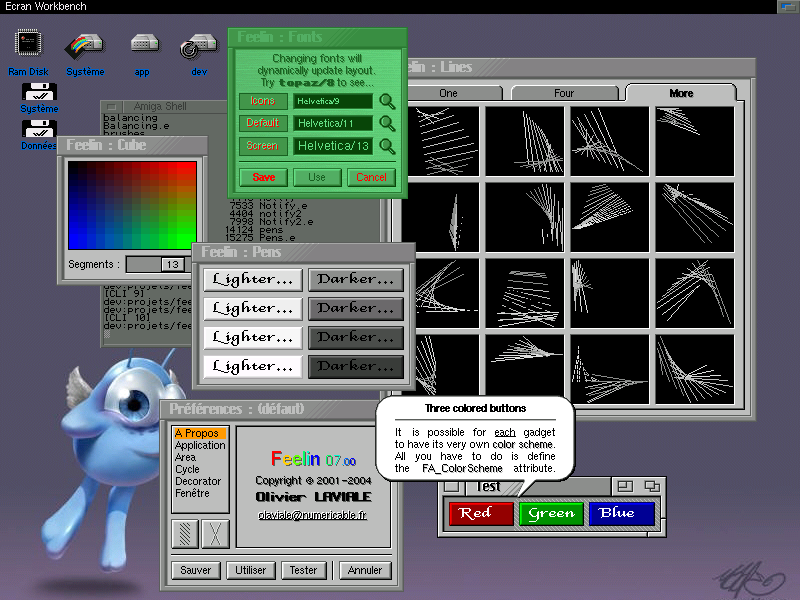 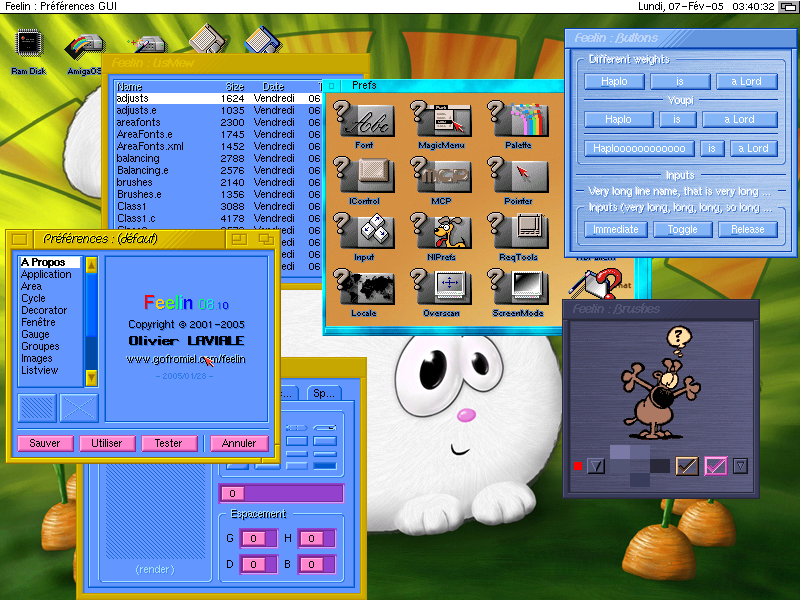 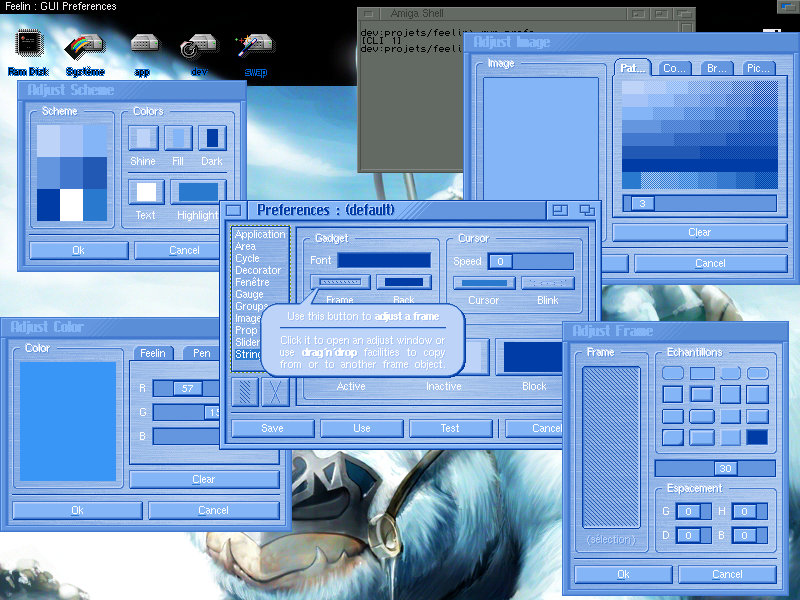 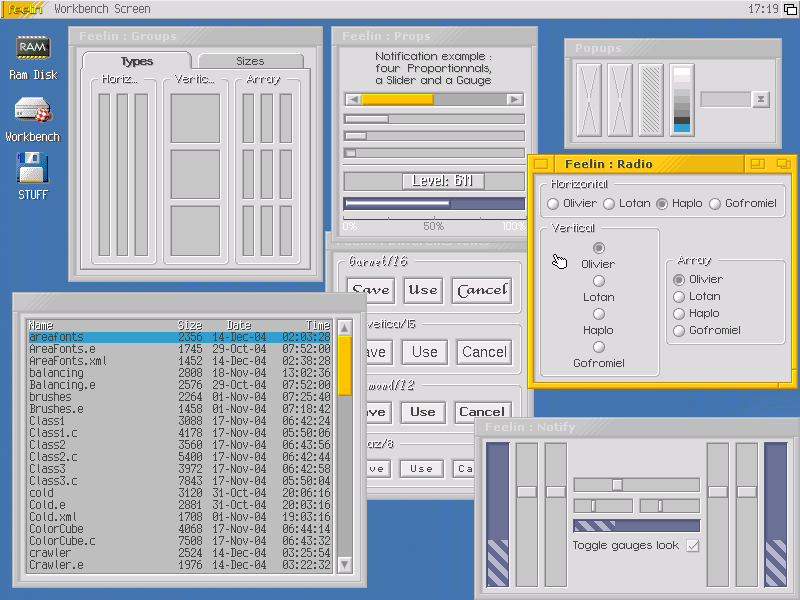 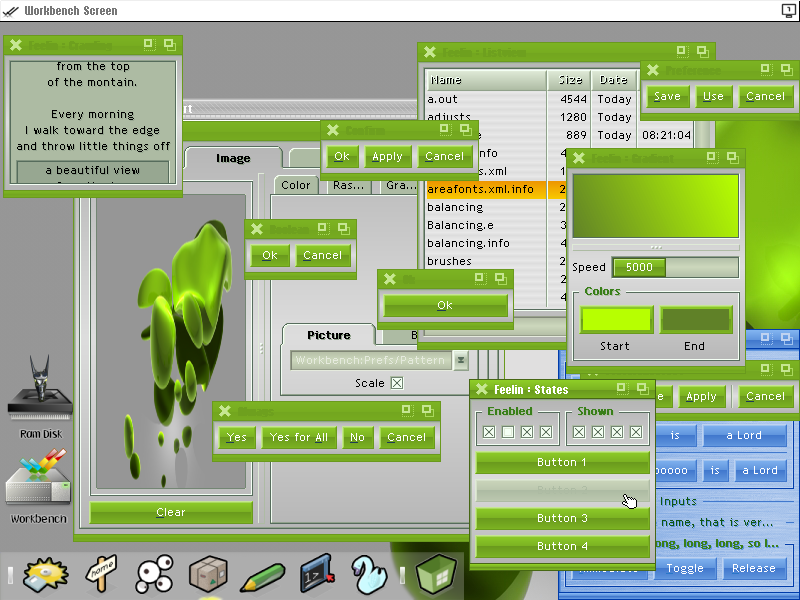 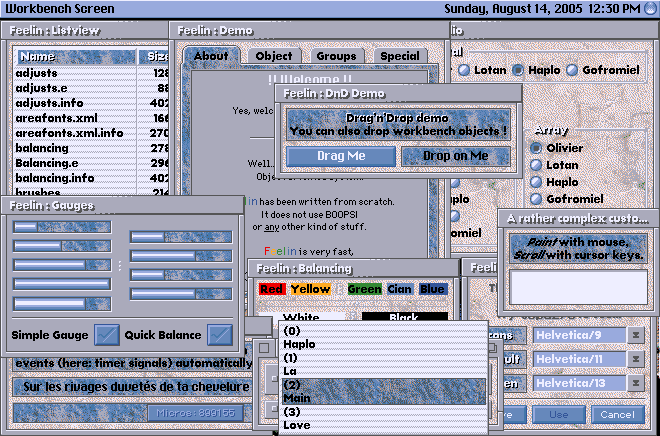 At the moment, two decorators are available : Shade, which shares a familiar look with BeOS; and Flatty, which may be flat but very customizable... "I love gradients". 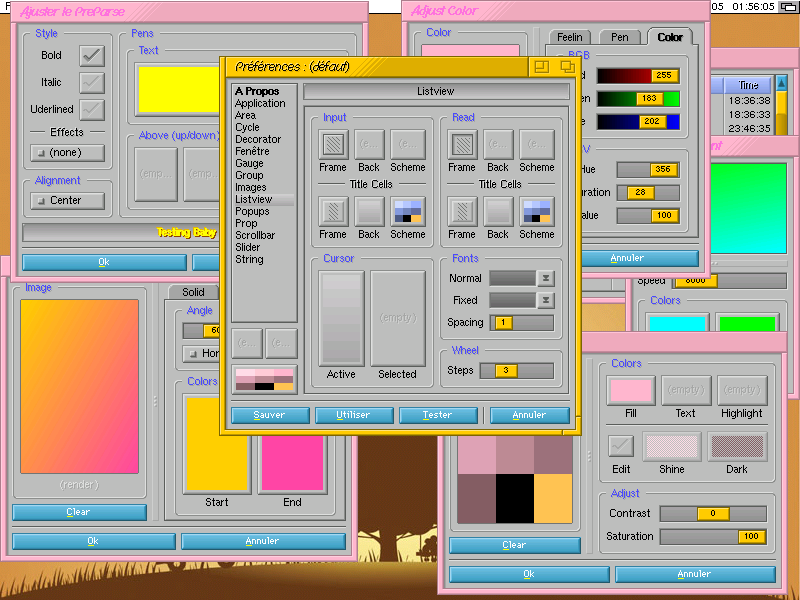 Obviously, you can choose to stick to Intuition's borders if you want to, decorators are just an option.